Posted September 27, 2018 by Fiona Greenfield & filed under Funding. Bekonscot Model village is a miniature world that makes a huge difference and Relate MTB is delighted to be one of the many local charities and good causes that it supports, through the Roland Callingham Foundation. 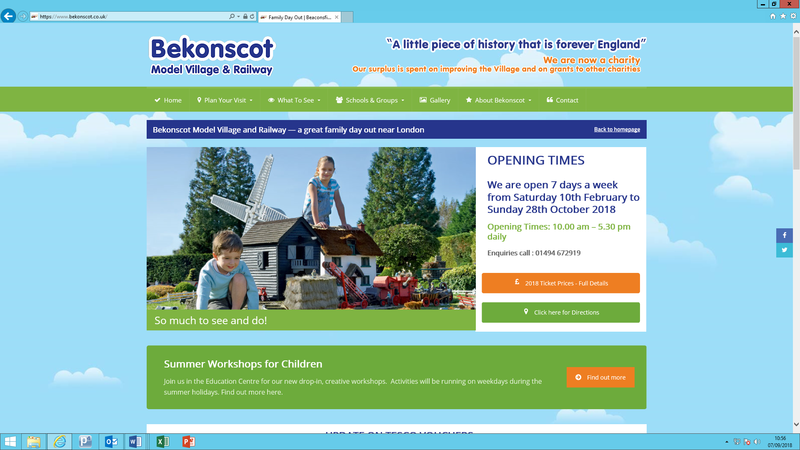 The late Roland Callingham created Bekonscot, the world’s oldest and original model village and railway set in the 1930s, that attracts many visitors every year. He was a great supporter of charities, particularly those that served the local community and now, not only does the foundation maintain the village, its surplus funds enable grants to local charities operating in Buckinghamshire. Thanks to the generosity of the Trustees, we have been awarded £1,000 towards our Bursary Funding Scheme which means that Relate MTB’s professional and high quality relationship counselling can be accessed by local couples, families and individuals regardless of their ability to pay. Use our postcode search to find your nearest Relate centre. Relate is a registered charity & a company limited by guarantee. Registered charity number 1083588, Company number 04088546. Registered office 2a Pebble Lane, Aylesbury, Buckinghamshire, HP20 2JH.